"Last year, he refused to play in the second team and there are other aspects you need as a keeper at United. "I played him at Hull because I wanted to help. I am always a very social human being." Has Van Gaal been wise to bring this to public attention? Don't mind him stamping his authority in public. Would have been a bigger problem if it had been done to a club legend rather than a journeyman keeper. Contacts, negotiations started and ... Sudden stop. Victor Valdes will not, in all likelihood, a new player of Besiktas : the arrival of former Barcelona goalkeeper was in fact blocked by the coach of the club turkish, Senol Gunes , who he changed his mind this morning about the possibility of having a new reinforcement between the posts. Offer accepted and sent to the player, ready to go from Manchester to Istanbul and stopped in the last minute by the unexpected turnabout. Closed market, therefore, because Gunes opposed also to the possible arrival of Doria from Marseille : Department goalkeepers and defensive unchanged, with Besiktas ready to continue its season without further input. If that's absolutely true I think that is a bit of a disgrace! We aren't playing him, he's not played one game this year and we all know he fell out with LVG. Seems to me he's being punished for that fall out in the summer? Valdes will join Standard on loan for the remainder of the season, according to reports in Belgium. Would not be surprised to see him back next summer under a different manager. He's definitely got a role to play as one of the better back up keepers around! 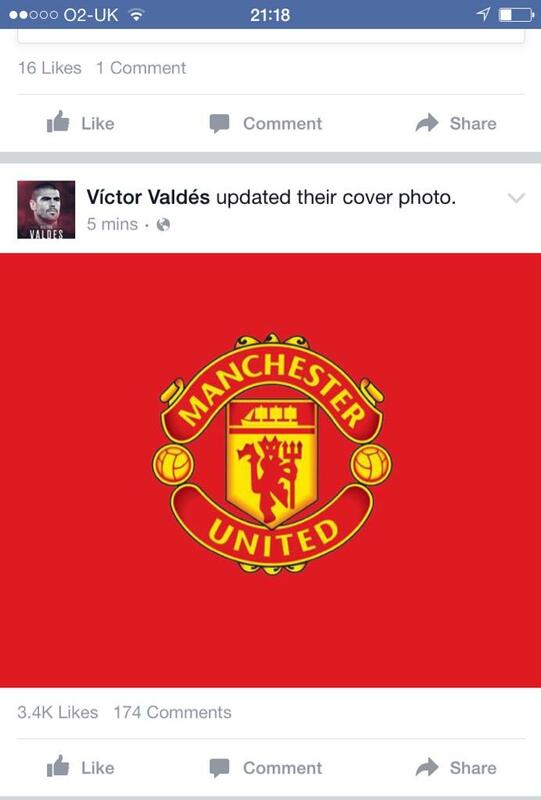 If LVG goes in the summer I can see them wanting to give Valdes a chance. I guess it's whether he wants to remain with the club? I definitely thought LVG looked rather silly back in the summer when he had fallen out with Valdes and it looked like DDG was on his way. Thankfully that didn't bite us because can you imagine Romero as the number one for the season!